What activities does CHAMP offer for adults? Looking for fun summer sports with Christian community? 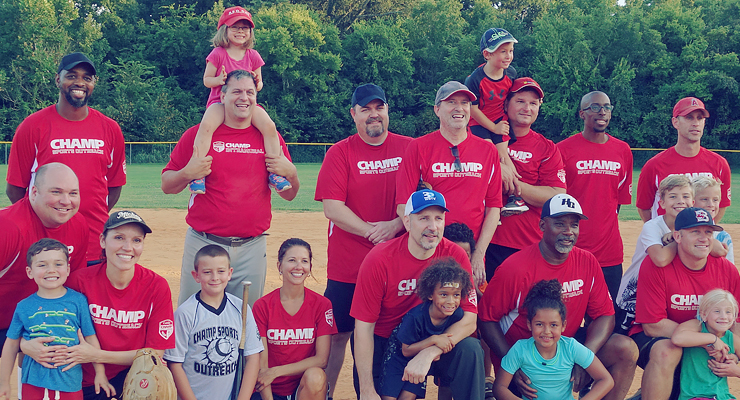 Our CHAMP Coed Softball League is a summer tradition and a great way to meet new friends. Come on out for some fun and friendly competition! Ages 18+. Must be 18 years of age by the start of the season. Each team plays one game per week. Games are played on Tuesdays and Fridays at 6:00 & 7:05 PM on the CHAMP Rea Road Field. The season will conclude with a tournament. Adult Softball is an outreach and discipleship ministry. Behavior becoming Christ-followers is expected. View/download the CHAMP rules for softball.